Grand Canyon whitewater rafting provides a unique experience when you decide to fully explore Grand Canyon National Park, one of incredible beauty, canyon colors, thrilling rapids and quiet floats. 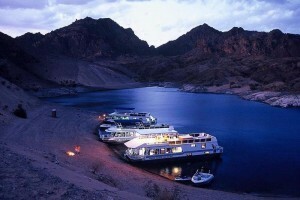 Rentals, meal preparation and shuttle service for the Grand Canyon. Quality equipment essential to a perfect river rafting experience. Professional and knowledgeable staff that cares about the customer. Experience the adventure of a lifetime with the safety of our guides! Explore the Grand Canyon, white river rafting, or experience another thrill with us. Those involved with the American military can take advantage of beautful Fort Tuthill, the Luke Air Base recreational post. A bevy of activities are comprised to allow you and your families enjoyment hits new highs. An award winning tour company offering tours of the Grand Canyon and Sedona. Also offering white river rafting in the beautiful Colorado river. Information to help you have the best Grand Canyon experience possible. Offering backpacking, camping, day-hike information whether you want to explore the many destinations for yourself or with a guide. Anything you need for your next river adventure is here. Experts can help you pack your gear and find all the right items. Everyday is an adventure at Sedona! Wine tours, tubing, kayaking, and hiking are just a few of the action packed activities we offer. Rafting vacations in Grand Canyon, Utah, Idaho and Colorado river. Western and whitewater rafting. Guides and trip leaders, best equipment, gear, deluxe camping & dining. Enjoy a 2-16 day adventure of a lifetime as experienced guides take you white water rafting down the Coloado River through the Grand Canyon. Grand Canyon white water rafting offers spectacular views, plenty of exciting rapids, and a one-of-a-kind experience deep within the canyon. You can enjoy a guided river trip or a self-guided rafting trip, depending upon your expertise. The Grand Canyon white water rapids range from a calm and scenic Class 1 to a wild and even dangerous Class 10. Glen Canyon Dam: For smooth and relaxing floats of one day in length, you can start out from Glen Canyon and move through amazing scenery to Lees Ferry, a little north of Grand Canyon National Park. Lees Ferry: Many river trips start at Lees Ferry, lasting a half-day, full day or up to long 25-day excursions through the entire canyon and braving all the hot spots of whitewater. Phantom Ranch: Hiking to Phantom Ranch is half the fun, but once you start the trip down the Colorado River, it is whitewater rapids and thrills galore. This is the mid-way point for full canyon whitewater trips. Whitmore Wash: Begin your river adventure at Whitmore Wash to head into the final majesty of the lower canyon. Diamond Creek: Although a popular take-out for Colorado River rafters, you can start a scenic float trip here and make it all the way to Lake Mead. 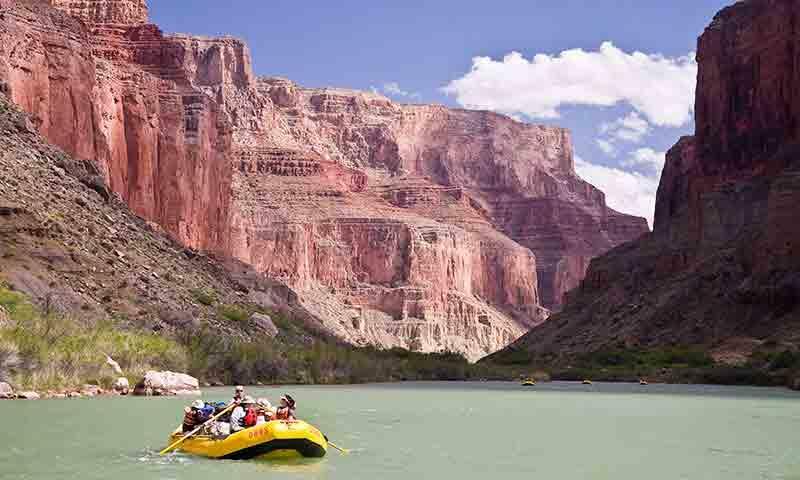 Grand Canyon white water trips meet and exceed expectations when you hire a guide or outfitter to provide you with an excellent opportunity to explore the canyon in the best way possible. Discover the right guide or outfitter for your whitewater trip by browsing the listings on this page.